You are here: Home » Alcohol Info » Worried about someone? » What can I do to help? How much a family is affected by a substance use problem depends on how long they have lived with it, how advanced it is, how much shame and secrecy surround it, and the roles and responsibilities of the person with the disorder. If the problem is left untreated, family members will also develop destructive behaviors, such as denial, enabling, and co-dependency. Because certain behaviors become routine, you may have trouble seeing how unhealthy they are, and how they contribute to the problem. Denial occurs when family members do not recognize, or refuse to admit, that substance use is causing serious health, work, school, relationship, or financial problems. Family members are prone to denial about how serious the problem is, how it has "spread" through the family and affected family relationships, and how they themselves may contribute to the problem. As addiction in the family becomes more severe, the family's denial may also, until the truth becomes so obvious and the crises so dramatic that denial doesn't work anymore. Enabling can be done by parents, siblings, co-workers, supervisors, neighbors, friends, teachers, doctors, or therapists. Although enabling begins as a way to protect the person from harm, the enabler eventually becomes part of the problem. Experts encourage codependent family members concerned about a loved one to remind themselves regularly (perhaps several times a day): "I did not cause the problem. I cannot cure the problem. I cannot control the problem. I can offer assistance, but the person with the substance use disorder must take responsibility for it and must be the primary person responsible for getting help." Experts also urge all family members to take care of themselves by getting enough sleep, eating right, and having time for themselves. Family members living with substance users often neglect their own care because they become preoccupied with caring for the other person. Children in families experiencing alcohol or drug abuse need attention, guidance and support. They may be growing up in homes in which the problems are either denied or covered up. These children need to have their experiences validated. They also need safe, reliable adults in whom to confide and who will support them, reassure them, and provide them with appropriate help for their age. They need to have fun and just be kids. 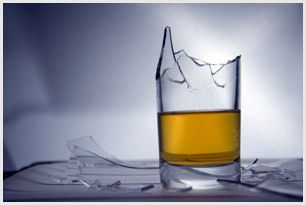 Families with alcohol and drug problems usually have high levels of stress and confusion. High stress family environments are a risk factor for early and dangerous substance use, as well as mental and physical health problems. It is important to talk honestly with children about what is happening in the family and to help them express their concerns and feelings. Children need to trust the adults in their lives and to believe that they will support them. Children living with alcohol or drug abuse in the family can benefit from participating in educational support groups in their school student assistance programs. Those age 11 and older can join Alateen groups, which meet in community settings and provide healthy connections with others coping with similar issues.